Global energy demand continued its sluggish rise last year as growth in Chinese consumption fell to its lowest in nearly two decades, while renewables flourished, BP (BP.L) said in a report on Tuesday. Slower demand growth helped stall the acceleration of greenhouse gas emissions for a third year to levels not seen since the 1980s, but emissions remained well above targets set out globally under the 2015 Paris accord on climate change. Coal's share in the energy mix declined to its lowest since 2004 at around 28 percent, while production of the highly polluting fossil fuel saw its largest ever annual drop at 6.2 percent, BP said. Global energy demand grew by 1 percent in 2016, a rate similar to those seen in the previous two years but well below the 10-year average of 1.8 percent, the British company said in its benchmark Statistical Review of World Energy. "This is a third year where we've seen weak growth in world energy demand ... The new normal is that all of this growth is coming from developing economies," particularly China and India, BP Chief Economist Spencer Dale told reporters. China's energy demand growth in 2015 and 2016, 1.2 and 1.3 percent respectively, although still the strongest in the world, marked its lowest over a two-year period since 1997-98. While that slowdown resulted from sluggish global economic activity, it also stemmed from greater efficiency in engines and factories, he said. Among fossil fuels, oil demand grew at the fastest annual rate - 1.6 percent - last year as low crude prices boosted consumption. Oil production grew by half a percent, or 400,000 barrels per day, the lowest gain since 2009, as energy companies slashed spending. U.S. shale, or tight, oil production fell dramatically last year but has rebounded strongly in recent months as oil prices rose, a factor the market should get used to, Dale said. "U.S. tight oil is like a Weeble: It falls off but then it bounces back up again," Dale said. "Any sense of trying to kill tight oil makes no sense." As oil demand growth continues to outstrip production growth, global oil stocks - which have plagued the market since 2014 - will start falling "more materially" in the second half of this year, Dale said. Gas saw similar growth to oil. Cheaper and abundant gas supplies in the United States and China's drive to switch to cleaner feedstock for its power plants led to a 1.7 percent drop in demand for coal, the most pollutant fossil fuel. 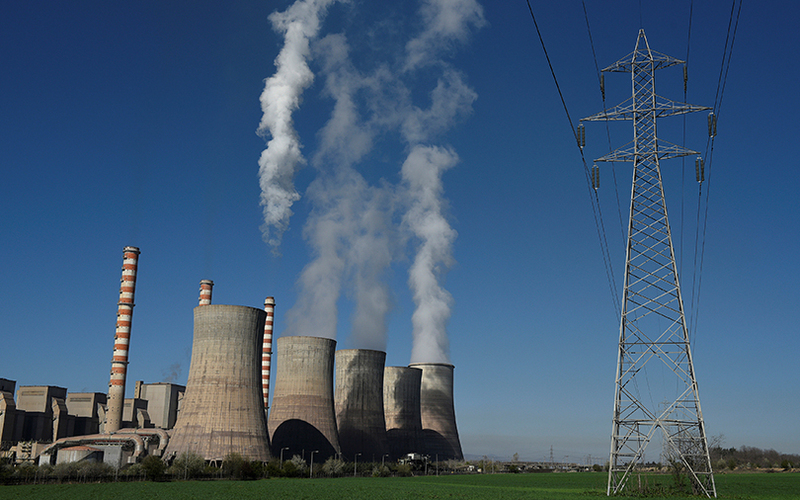 "It feels to me like we are seeing a decisive break in coal relative to the past," Dale said. Renewables such as solar and wind power were the fastest-growing source of energy, rising by 12 percent and accounting for a third of the overall growth in demand. Still, renewables provide only 4 percent of the world's primary energy. China, meanwhile, overtook the United States for the first time as the largest producer of renewable power. The slowing growth in energy demand, the shift to cleaner fuels and energy efficiency meant carbon emissions grew by 0.1 percent last year, similar to the prior two years, making it the lowest three-year average for emissions growth since 1981-83. "While welcome, it is not yet clear how much of this break from the past is structural and will persist. We need to keep up our focus and efforts on reducing carbon emissions," BP Chief Executive Bob Dudley said.